When a crime novel promises to be a psychological thriller, with twists and plot changes to surprise you, how often are you disappointed? How often does the killer end up having split personality disorder, or some kind of creepy childhood trauma that led them to seek revenge? I get a kick out of predicting who the baddie is on screen. I always try to out-mentalise Simon Baker, and guess which of his suspects the killer is. But in a book, I want to be left wondering and questioning the motive until the very end. I hate it when I can guess what the outcome might be. I hate it when the psychological element is just about one character, and is an easy excuse for the author to wind up the plot. Kind of Cruel is not that book. Kind of Cruel is quite possibly the best damn psychological crime thriller I’ve ever encountered. It has so many layers to its characters, each of them with their own mental demons, and Sophie Hannah has dedicated valuable chapters and word count to develop each of their back stories, quirks and faults which makes them all integral to the plot. We meet Amber Hewerdine as she tries to talk herself into attending a hypnotherapy appointment. It is her last resort to curing chronic insomnia, and she’s cynical and mocking before even going inside. I instantly liked her. She is self-deprecating, opinionated, with a dry wit that really tickled my fancy. On the count of three,’ I imagine saying to myself in my best deep hypnotic voice, ‘you will get out of your car, go into that house across the road and pretend to be in a trance for an hour. You will then write a cheque for seventy quid to a charlatan. It’ll be ace. Amber never imagined that the therapy would actually help her sleeplessness. But she also never imagined speaking the words ‘Kind, cruel, kind of cruel,’ while under hypnosis, and she has no idea why she said them, though they are strangely familiar. And so begins a cracker of a case, as Amber discovers the words are related to a local murder of young school teacher Katharine Allen, a woman she has never heard of. With no other leads or suspects, Amber is arrested. The story moves from the first person of ‘I,’ Amber, and also jumps into the third person to reveal other relevant characters, including Amber’s extended family, and the detectives working the case. All of whom are completely three dimensional and pivotal in their own way. Amber’s past unravels slowly, and memories of her history surface. The notion of a memory is questioned, and the way in which a memory is retold (often with modifications and analysis to create a ‘story’) is explored thoroughly. What is original and cool about the structure of the novel, is that each chapter is bookended by the narration of the hypnotherapist – who has a special insight into several of the characters, and her interpretation of events and psychoanalysis of the people involved is fascinating, surprising and tantalising as they gradually emerge. I enjoyed this book to the last moment, and was left scratching my head and revisiting all I had learned in search for more clues. There were moments of brutal honesty that left me uncomfortable, but ultimately the motive was unapparent throughout and even after digesting it – I’m still surprised. In Short: The thinking crime reader’s crumpet. Just effing read it. 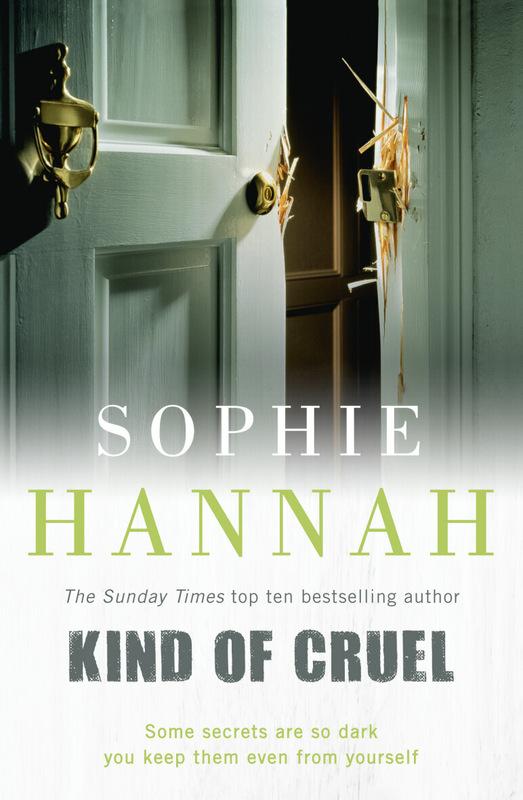 This entry was posted in Crime, Thriller and tagged Crime fiction, Kind of Cruel, Psychological thriller, Simon Baker, Sophie Hannah on August 9, 2013 by jadetam. Absolutely agree with every word of your review. Another great read!